The Samsung ProXpress SL-M4080FX has 1GHz dual-core processor and comes with an expandable 1GB memory for enhanced printing, copying and scanning. It is capable of up to 40ppm, which is quite a reasonable speed for heavy print and copy jobs. 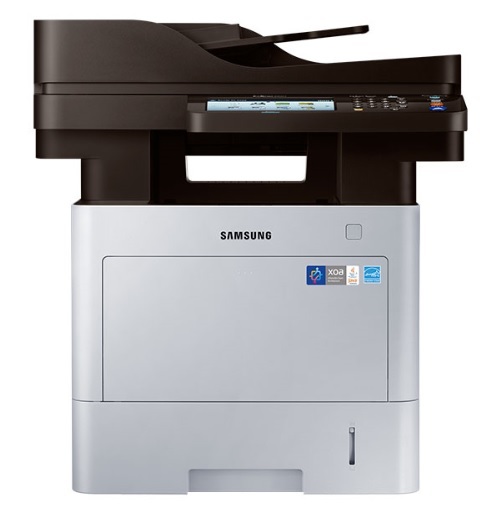 The Samsung SLM4080FX is designed with in-built Dual Scan Document Feeder (DSDF) technology for high scanning speeds. This technology, which is also duplex in nature, makes it capable of doing a maximum of 60 images per minute (ipm) in both mono and colour. It is embedded with the eXtensible Open Architecture (XOA) app for easy management of the printing system. The Samsung in-house solutions are vital for the management of attached compatible devices as well. The printer’s Rendering Engine for Clean Pages (ReCP,) coupled with its 1,200 by 1,200 dpi, produces high-quality work. The eXtensible Open Architecture - Embedded (XOA-E) system enables you to achieve unequalled efficiency and productivity. Its enterprise security ensures that there is control over users, documents as well as network access. It supports authentication, protection of your print jobs, hard disk protection, as well as network security and protocols. As an administrator, it also supports you to effectively manage printing privileges and the control panel. Experience high quality text and image printing courtesy of the ReCP. The Samsung M4080FX is also designed to handle heavier papers with its three 550-sheet second cassette feeders (SCFs). Its multipurpose tray can efficiently hold and feed up to 2,300 sheets. It also offers convenient authentication by any compatible smart phone, where you simply tap and scan, print or fax documents. This is made possible with Samsung’s Active Near-Field Communication (NFC) Pro technology. Being a multifunctional printer, any damage or malfunctioning of one of the Samsung SL-M4080FX’s core functional systems affects all the rest. For example, if the copier system develops a problem, the scanner, fax and printer suffer the same fate for the period of the existence of the problem. That means you cannot copy, print or scan for that duration.